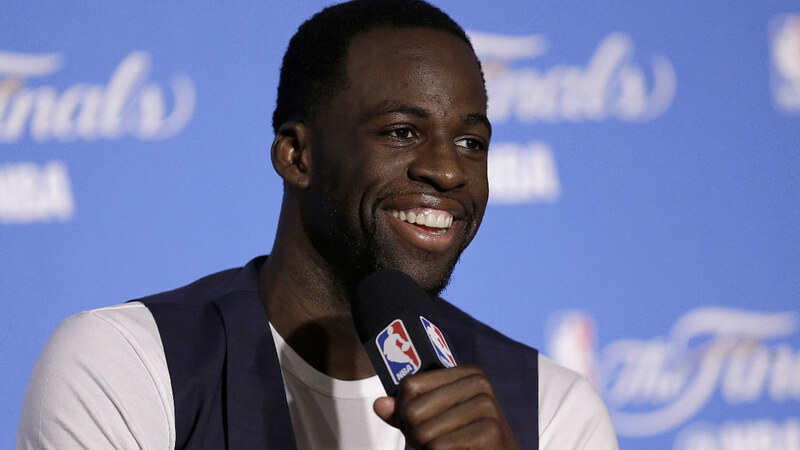 OAKLAND, Calif. (KGO) -- Golden State Warriors forward Draymond Green has been named to the 2016-17 NBA All-Defensive First Team, the league announced. Green has been named to the All-Defensive First Team in each of the last three seasons, becoming the first player in Warriors history to earn three such honors. Green, who was also named to the All-NBA Third Team this season, tallied averages of 10.2 points, 7.9 rebounds, 7.0 assists and 1.38 blocks in 32.5 minutes over 76 games, while leading the league with a career-high 2.03 steals. The 6'7" forward became the first player to tally averages of at least 10 points, seven rebounds, seven assists, two steals and one block over the course of a season since blocks and steals were first recorded in 1973-74, while becoming the first player in Warriors history to total at least 150 steals and 100 blocks in a single campaign. Green is a finalist for Defensive Player of the Year at Monday night's inaugural NBA Awards in New York, along with Utah's Rudy Gobert and San Antonio's Kawhi Leonard, after finishing as runner-up for the award in each of the past two seasons. Golden State went an NBA-best 67-15 (.817) in 2016-17, becoming the first team in NBA history to win at least 67 games in three-straight seasons (67, 73, 67), and set an NBA postseason record for best single-season playoff winning percentage with a 16-1 mark (.941) en route to their second NBA title in three seasons. Click here for more stories about the Golden State Warriors.